The presenter of Channel 4 series First Dates, is heading up a new programme to get young offenders filling hospitality skills gaps. 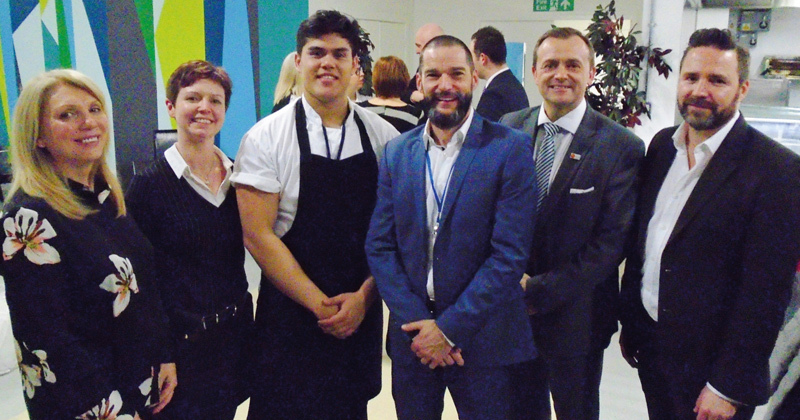 Presenter Fred Sirieix – who previously worked in Michelin star restaurants as a maître d’ – has established an initiative called ‘The Right Course’, which aims to get prison restaurants operating like high street establishments. The initiative, which is funded by donations, will prepare young offenders for the world of work, and give them the skills they will need to get into the hospitality industry upon completion of their prison term. The initiative will be run in partnership with offender learning and skills company Novus, as well as the DM Thomas Foundation, and has already started at HM Prison Isis, an institution for male offenders. “The whole aim is to reduce reoffending and teach prisoners about service and cooking within prisons so that they can join our industry upon release,” said Sirieix. “The work we do together with Novus and the DM Thomas Foundation gets young learners to practice delivering high standards that will ultimately make them great professionals.